When we think about our beauty maintenance, one of the first things we think about is our hair. We all want strong, lustrous, and vivacious strands, but sometimes we end up with lifeless straw that does nothing for our face shape. 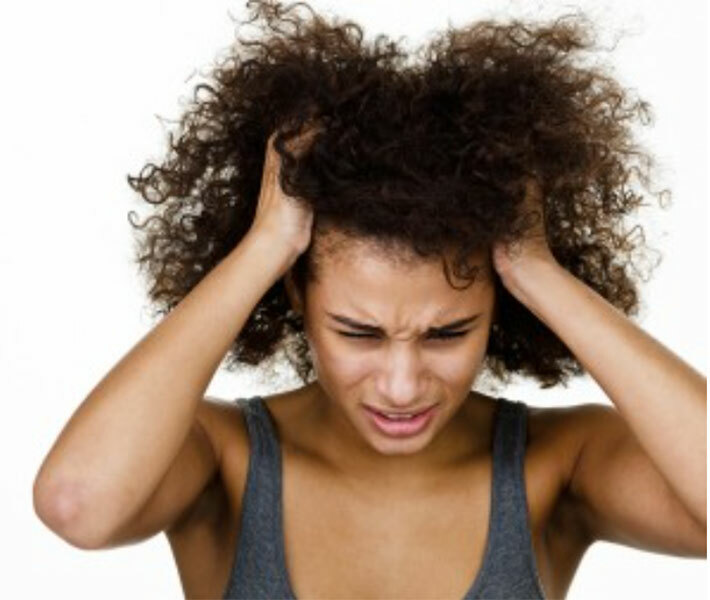 A lot of our hair issues have to do with the health of our scalp, environmental factors, personal psychology and the treatments we use. When we are experiencing a scalp issue or hair loss, we should always turn to a trichologist. Dr. David Kingsley is an internationally recognized hair-loss specialist and the only trichologist in the world who is a member of the American Academy of Dermatology. He treats all types of hair and scalp conditions and is passionate about his work. One of our experts at MyTopFace received a consultation and recommended treatments at Dr. Kingsley’s office on Staten Island, New York City and curious to know more…we took the liberty of asking Dr. Kingsley a few questions about his practice in order to delve even deeper into the world of hair, or lack thereof. Read on for the full interview. we decided to try your treatments and products! What made you choose this profession? Trichology is a science well-known in Britain, and I had a lot of interest in the medical and psychological factors surrounding hair loss conditions. Also, my late father was a trichologist. I worked with him for a few years and then branched out on my own. 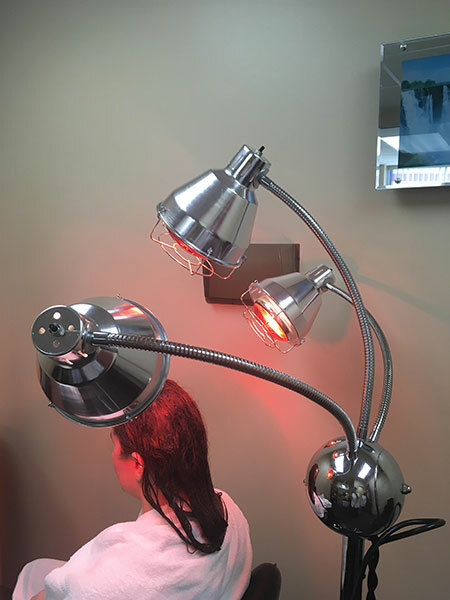 Can you explain in detail how you treated our Mytopface expert at your office, the process, and what each step does to treat your hair and scalp? We decided to just give your Mytopface expert a deep conditioning treatment. Usually, we would also apply scalp preparations for natural stimulation and exfoliation. Specifically, for Kay (MyTopFace expert), we applied the British Science Formulations® protein enriched deep Hair Strengthener in partings (the hair is made of the protein, keratin), which strengthens the cuticle (outer hair shaft), and cortex (inner hair shaft). The strengthener was activated in the cuticle with the warm steam from the hair-steamer. Then we massaged the hair and scalp for relaxation and also to exfoliate the scalp and clean the scalp pores. 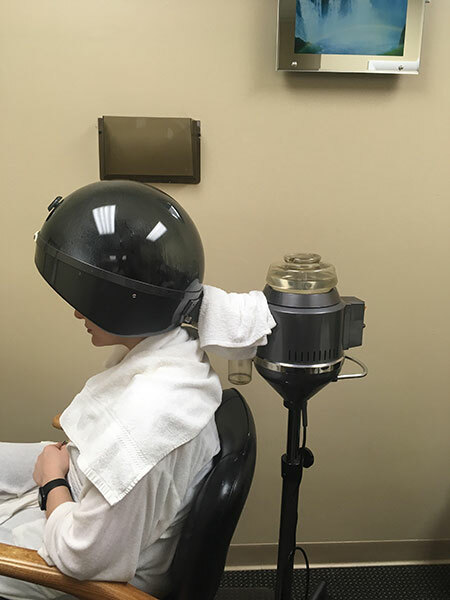 We then used infra-red heat to activate the Hair Strengthener in the cortex of the hair. 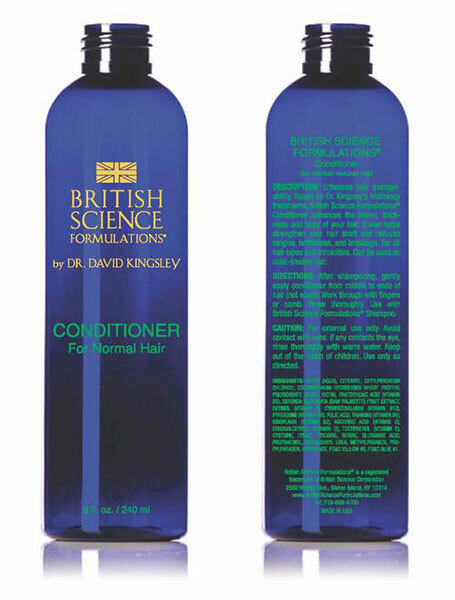 Finally, we shampooed the hair with our British Science Formulations® shampoo and conditioner. Dr. Kingsley product line and how it can be used. 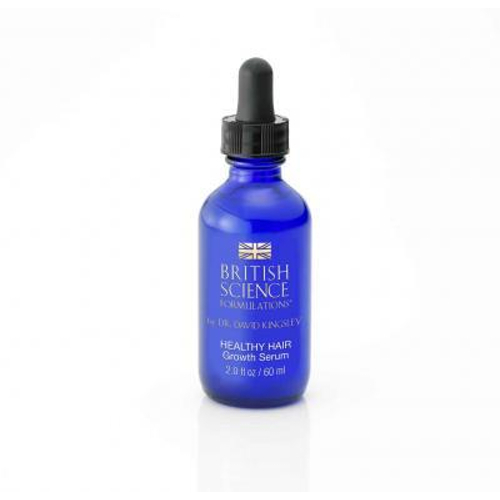 British Science Formulations® Scalp Mask, Healthy Hair Serum, Shampoo and Conditioner, are an at-home trichology treatment regimen. 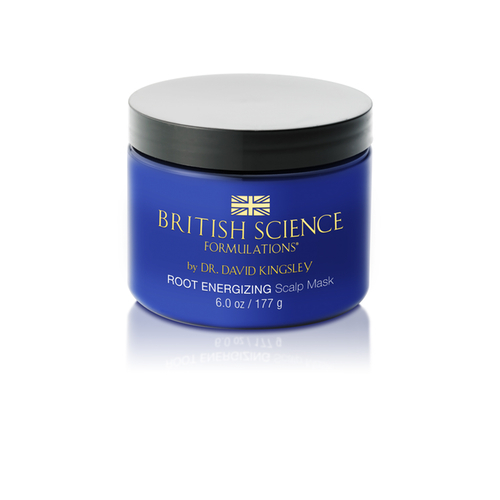 Based on Dr. David Kingsley’s trichology hair treatments, the British Science Formulations® Healthy Hair Scalp Mask is an intensive mentholated scalp treatment cleansing mask, which naturally stimulates the scalp, exfoliates dead skin cells, and helps support the delivery of important nutrients to the hair follicles to encourage healthy hair…for all hair types and ethnicities as well as color-treated hair. Use TWICE PER WEEK. Apply Healthy Hair Scalp Mask with your fingertips in half-inch partings directly to the scalp while hair is wet. Allow Healthy Hair Scalp Mask to remain on the scalp for approximately 30 minutes, then rinse out with your desired shampoo. 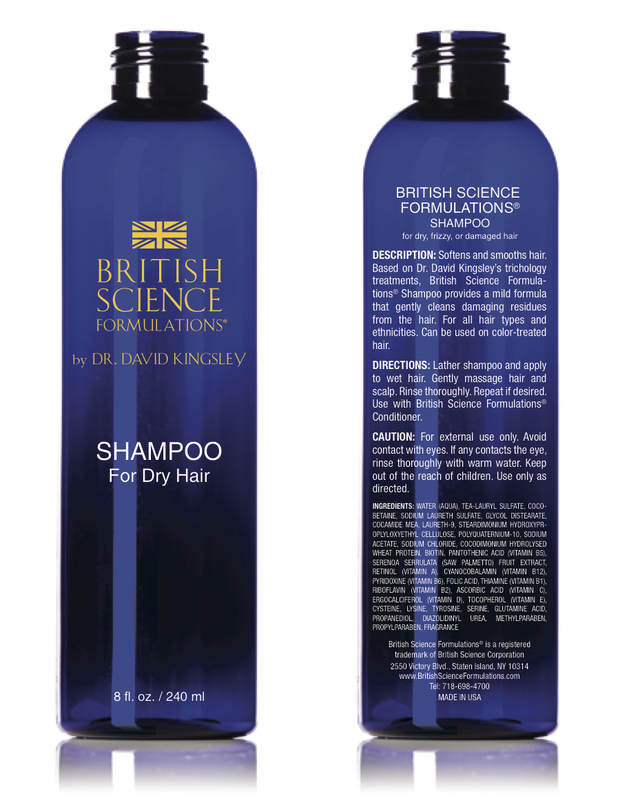 Based on Dr. David Kingsley’s trichology hair loss treatments, British Science Formulations® Healthy Hair Serum contains vitamin B3, which helps support the activation of critical nutrients in the hair follicles and the improvement of thinning hair by enhancing hair fullness. For all hair types and ethnicities as well as color-treated hair. Directions: Use ONCE PER DAY. Apply one or two full dropper(s) of Healthy Hair Serum to dry or wet hair, directly to the areas of hair thinning on the scalp. Apply in one inch partings and use a few drops per part. Once applied, massage into scalp with fingertips, then wash hands. DO NOT rinse Healthy Hair Serum out of hair. Dry or style hair as normal. fine hair, formulated for fine, limp, oily, or straight hair; medium/normal hair, formulated for medium textured or wavy hair; dry hair, formulated for coarse, dry, frizzy, or very curly hair. • clean the hair by efficiently removing residues from regular daily activity, i.e., pollutants, styling products, scalp oil, etc. Lather shampoo and apply to wet hair. Gently massage hair and scalp. Rinse thoroughly. Repeat if desired. dry hair, for chemically over processed, coarse, dry, frizzy, or very curly hair. After shampooing, gently apply conditioner from middle to ends of hair, not on scalp. Work through with fingers or comb. Rinse thoroughly. We know that you have 2 offices in Manhattan and in Staten Island, which we visited. 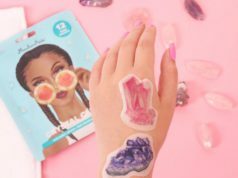 where can clients purchase your product line? Yes, these are our 2 offices. The addresses and contact details can be found on our website www.HairAndScalp.com. The products can be purchased through our online store. Do you recommend a consultation with you or another hair specialist before purchasing your products? the correct products from our website, however, they can call us at 212-980-8700 to speak to our helpful staff if they have questions. How often should your products be used and how long does it take to see results? Our products can be used regularly (daily if needed). The time to see results depends on the condition treated. 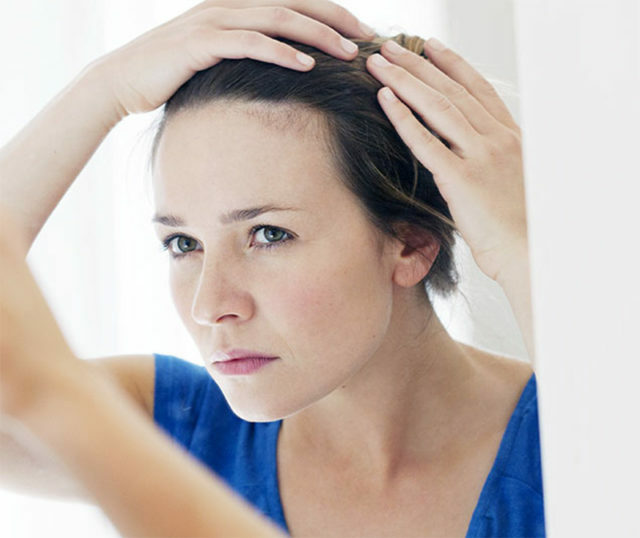 Hair loss may take a few months, dandruff a few weeks, and cosmetic improvement a few days. Can you discuss a specific case you treated and what the outcome was? A female patient started losing her hair, she noticed in the shower when clumps began to fall out due to stress and hormones. 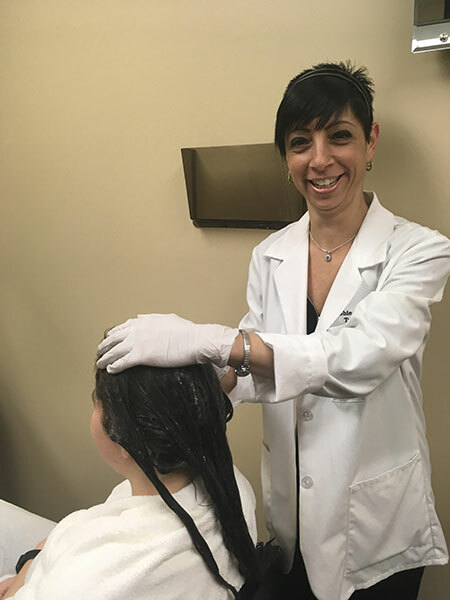 She wanted to treat the problem holistically, so she went to a trichologist and we recommended stress reduction and topical products from the Dr. Kingsley line. We suggested our Stimulant Scalp Therapy Lotion, Scalp Mask, and Hair strengthener. Read more about Janet Carlson experience in Good Housekeeping article. Why should patients choose your office and/or product line versus others? My products were formulated and thoroughly tested in my trichology centers for over 25 years. 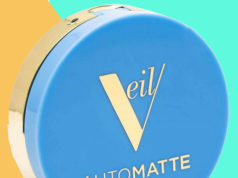 They are formulated for specific hair types and hair/hair-loss conditions. We treat people with hair and scalp problems who should have a consultation; however, we also treat people with cosmetic problems that don’t need a consultation beforehand. Discuss with our helpful receptionists to see if you should have a consultation or not. Our MyTopFace expert, featured above with Dr. Kingsley, is sporting a trendy slate gray, cable knit, accessorized with statement tassel bracelets from our go-to jewelry designer, Zacasha. These hand-crafted bracelets are made in Bali and adorned with glass crystals and star charms. Zacasha beading is known for it’s healing properties, and the fashion is just a bonus! For more eye-catching sparkles, go to Zacasha and see all the styles you’ll want this season. Our MyTopFace expert wears Zacasha bracelets even in the shower, and after trying the Dr. Kingsley Hair Mask, she noticed it had a cooling effect and helped with blood circulation. With the holidays coming to a close, did you think you were off the hook when it comes to gift-giving? Well, you thought wrong. Valentine’s Day is February 14, and just around the corner. Go traditional by gifting Zacasha jewelry, which is anything but ordinary, or take your generosity to the next level this year with Dr. Kingsley’s hair products or a trip to see the doctor himself. Love is in the air and it’s time to give your hair some love too.